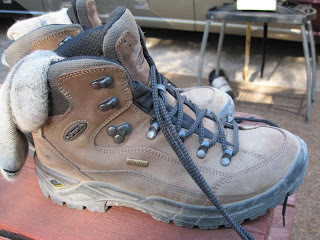 These are my hiking boots. 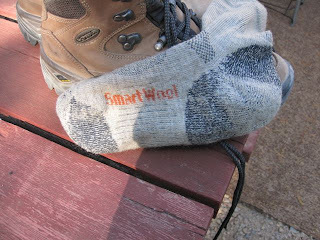 These are my hiking socks and I love my hiking socks . . . But not as much as I LOVE my hiking boots - if I ever have to go "formal" again, I'm painting these babies "patent leather black" and gluing sequins to them - I love them that much!! 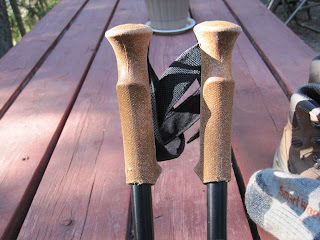 These are my hiking poles. 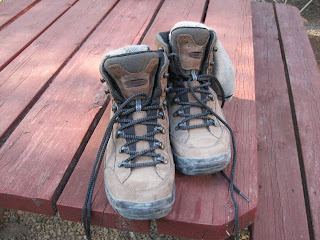 I love them almost as much as my hiking boots! 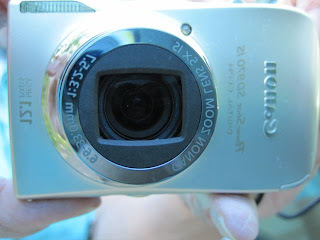 And this is my new camera - don't know where my other one is - blonde or senior moment has claimed it. I may love my new camera as much as my hiking boots - we'll see!! 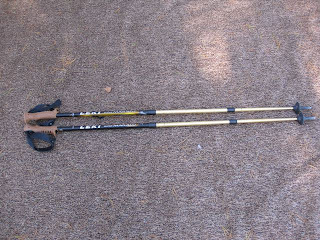 Aren't they called nordic walking poles Maybe you should bring them to Denmark to try them out.